Our services are provided to various sized public, private and not-for-profit organizations in the United States, the Caribbean and Thailand. Our Management Tools contain some generic components and customization is provided for each based on the client’s core competencies, a needs assessment and other data provided to our firm. Work with your current system and revise and improve it. Assist you in selecting and designing a new system (manually or computer generated). Work with the vendor (if the system is purchased “off the shelf”) in ensuring that all components within the organization are in alignment. Ensure that all of the data provided in the final product is of high quality, and relevant to each employee’s job. Ensure that the staff responsible for administering the systems have received training on the of use of and evaluation of the system(s). The system we design for your organization will also be legally defensible, and compatible with your current human resource’s functions (compensation, incentives, rewards and recognition programs, and strategic plan etc.). We will not sell you a “bill of goods” or decide for you what you need or base our recommendations and changes on “our agenda.” The system will be based on hard data collected and analyzed from your organization. 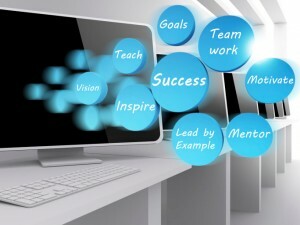 We will also ensure that the system will achieve the goals your senior management team expects or desires to achieve. The system includes a training/users manual and may include (based on the contract) in-depth workshops for all stakeholders. Research has shown that the number one reason employees leave organizations is because they are dissatisfied with their supervisor. Given the rapidly changing and competitive global economy, organizations must be able to attract, retain, and motivate their workforce. Businesses that are not successful with this will go out of business. What is the main reason companies go bankrupt, are acquired or close their doors? Weak management and lack of leadership! Given that our firm knows that people are an organization’s most valuable asset, our organizational development (OD) tools will ensure that a client organization develops and improves from our organizational development efforts. This cannot be done without the buy-in and emotional support from the employees. Our strategy is to focus on the entire organization, starting with the top leaders, the organization’s mission and values statements, and the strategic or business plan. In order to make changes and improvements in any organization, a review of this information and other relevant data is critical. Our firm provides a comprehensive, custom-designed, and customer-focused approach to organizational development that achieves the outcomes desired by the client in the beginning of the consulting engagement. We do not sell you a “bill of goods” or tell you what we think you need or should be. We base all of our final recommendations and improvements on hard data! Collection of organizational data; e.g., mission and vision statements, past climate/attitude survey results, turnover statistics, strategic plans.